England and, in fact, rarely spend much time away from their family estate, which encompasses several hundred acres of the Norfolk countryside. George and Poppy have agreed to allow a BBC film crew to follow them around the United States for a light-hearted observational documentary series, meeting and greeting Americans from every walk of life, learning about the history, culture & traditions of a country that is so similar, yet so different to the United Kingdom. On their first day in the U.S., George and Poppy will be coming to our monthly meeting, along with a BBC documentary film crew. -George Carlton-One of our guests from England who will be profiled in the BBC documentary. 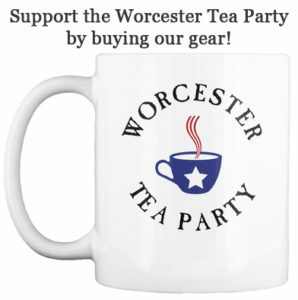 We will also have updates on our anti-NDAA efforts and on other are Tea Party efforts. We’d like to have large crowd for the BBC filming! Please be aware that if you attend the meeting, you may appear in the documentary. The Canal is at 65 Water Street, Worcester. Please arrive early to enjoy some good food and drink from the restaurant prior to the meeting. For updates on our November meeting, check out our Facebook event page.